about half way through the day on wednesday i realized i did something else with zucchini and forgot to include it in my WHAT WOULD YOU DO post. i still want to know what you would do with zucchini. I'm usually a season-and-steam person when it comes to zucchini - I use the Spike salt-free seasoning, usually, found on Amazon and trust me, it's AMAZING .. but I've been grilling it a lot with olive oil and salt/pepper and that's delicious as well. I gotta get me a spiralizer though - need some zoodles in my life! 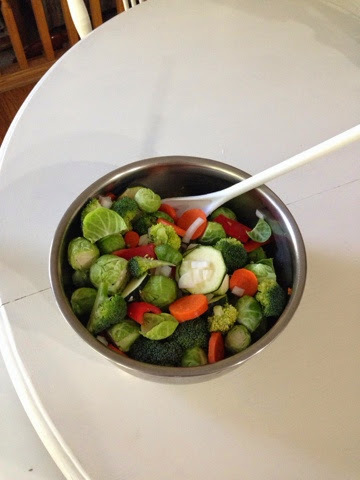 What a simple, healthy, and delicious side dish!